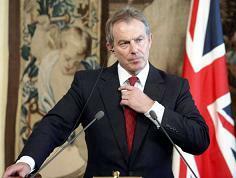 Why Can’t Tony Blair be Prosecuted for the Crime of Aggression? The House of Lords certainly got the right answer from an international law perspective. There is no doubt that the crime of aggression exists in customary international law. Were they also correct from a constitutional law and a human rights perspective? One cannot argue with the proposition that new criminal offences are for Parliament alone to establish. But is the crime of aggression a ‘new’ criminal offence? It is not as though their Lordships were being asked to create or recognise a brand new crime. Lord Bingham accepted that the crime of aggression has existed since at least 1945. As for human rights, some people might argue that the crime of aggression is not defined with sufficient certainty to pass the test used by the European Court of Human Rights when considering whether something is ‘law’. That term has a qualitative dimension implying accessibility and forseeability. In particular, it must be possible to ascertain where the limits of acceptable behaviour are so that those affected can regulate their conduct. At the time of the Iraq invasion, was the crime of aggression – a leadership crime – defined clearly enough for a State’s leaders to regulate their conduct? Their Lordships thought so as far as customary international law is concerned, but that did not obviate the need for statutory authority on the domestic front. So we are where we are: the crime of aggression does not yet exist in English law, unfortunately, and therefore no one can be prosecuted for it in our courts, however flagrant the violation. 1 The Times, October 19, 2005. 2 Para 34 of the AG’s advice. ‘offence’ within the meaning of s 68(2) of the Criminal Justice and Public Order Act 1994.
deliberately excluded from the Act.